How do we ensure strategies for addressing opportunities, threats and requirements align to the context, organizational culture and decision-making criteria set by leadership? How can we know if compliance actions and controls align to both mandated and voluntary requirements? 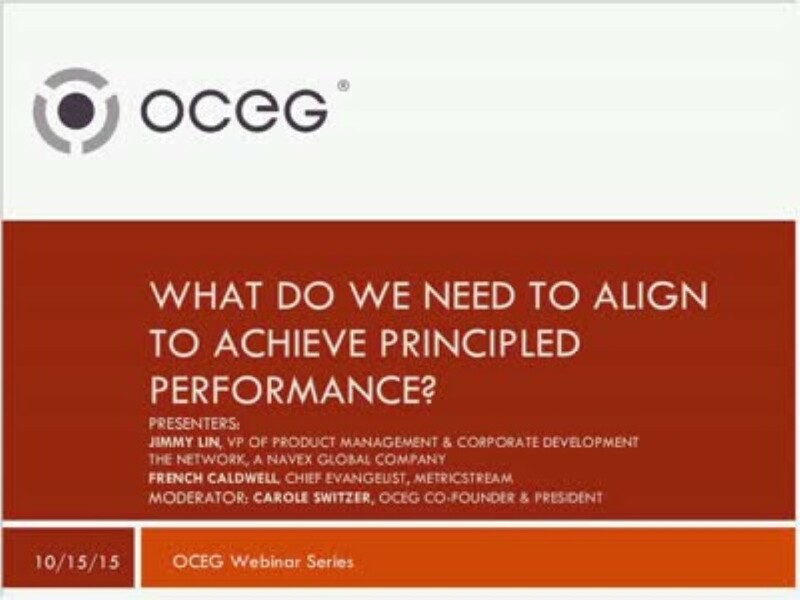 How should we establish performance, risk and compliance indicators (KPIs, KRIs and KCIs) that align to established outcome objectives and decision-making criteria? These are just some of the questions that we will address in this webcast, which focuses on the “Align” component of the new GRC Capability Model 3.0 (Red Book). Join OCEG and sponsors of the second installment of the GRC Capabilities Illustrated infographic series for a discussion about the key areas requiring alignment in the organization and how we achieve it. We have emailed instructions to access What Do We Need to Align to Achieve Principled Performance GRC Capabilities Illustrated Series Part 2 to . Make sure the email arrives in your inbox: either add "support@oceg.org" as a safe sender to your email platform, or if you use Gmail, drag our email into your Primary tab.